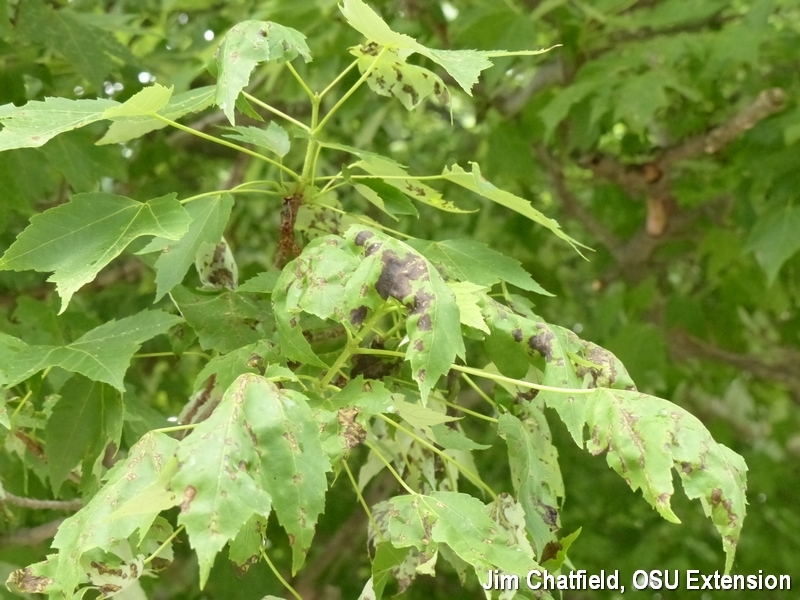 At most, probably less than 1% of the leaves have fallen and maybe 5% of the leaves showed symptoms of maple anthracnose. And the affected leaves were on the lower portion of the plant. Why on the lower leaves? Because there is poorer air movement there and the maple anthracnose fungus thrives under these conditions. Not to worry, as the temperatures rise with summer this disease is not destined to become worse and worse and in this case this disease is of minor relevance to plant health. A few more leaf sweepings are due but otherwise the deck under this maple will have its summer shade for years to come.